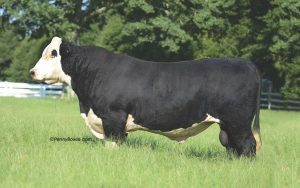 Ribeye has been proven to bring performance while ranking in the top 5% in YWT, MILK and M&G and the top 10% in WW. 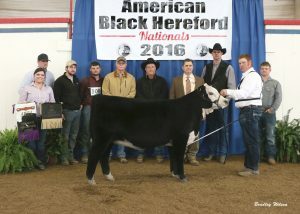 He recently sired the 2016 National Champion percentage heifer. 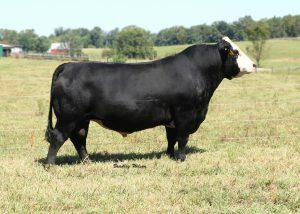 Thunder is an up headed, cleaned fronted bull that consistently throws great heifers and bulls. 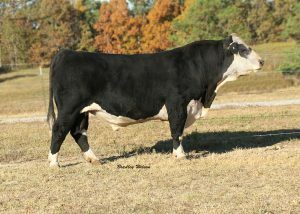 Dynasty is the all-time high selling Black Hereford bull. 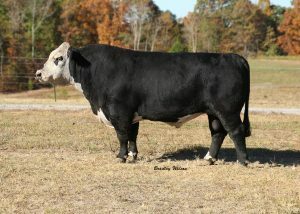 He is a big bodied, stout made bull that is still feminine in his front 1/3. 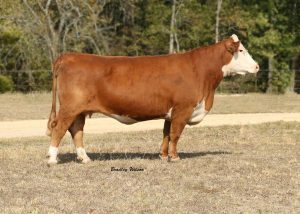 3c's barney B04 sired by Dynasty purchased by DCD cattle for $10,000. Z01 is a true power house! She is big bodied, sound made with a beautiful udder. 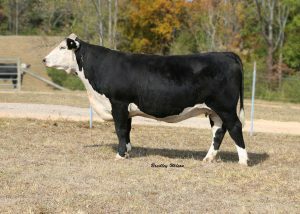 This is the tyoe of cow that we should all be striving to produce. 315 Combines a outstanding phenotype with an even better set of EPD’s. She is in the top 1% in WW, YW, and M&G. A14 is a moderate cow with a beautiful udder. 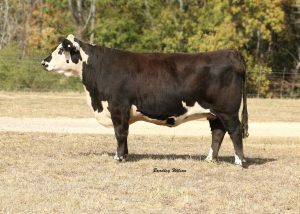 We have high hopes for this cow for building our herd. 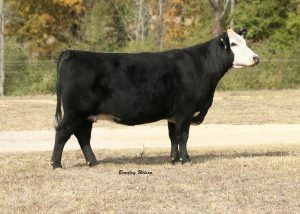 Her first calf is a Ribeye sired bull that will catch your eye when you walk into the bull pen.